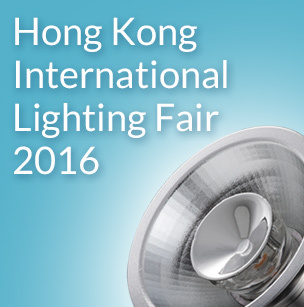 We will attend the upcoming 2016 Hong Kong International Lighting Fair(Autumn Edition) from 27th – 30th October 2016, and our booth no. is 5C-D06. It’s a great opportunity to see our latest catalogue and innovative new products. Consistently delving into LED lightings, we have developed a revolutionary Non-Glare AR111 12W Reality® utilizing light reflector technology to achieve its extreme lumen output from the LED light source. Thanks to Goldyear’s patented thermal dissipation technology and patented construction design, the AR111 12W Reality® maintains the same size as traditional halogen AR111 lamps and it can deliver thermal control for optimal performance without using large heat-sink, preventing the LED arrays and other components from deterioration. The special designed optics system gives beautiful even light beam: no rings or botches, which makes the light performance "just like a halogen". The most exciting thing is that: We have improved the original 12V circuit and now all our low-voltage lamps can be dimmed well with many most commonly used dimmers, so it’s definitely the best choice for customers to replace the traditional lamps. By using the same patented construction, Goldyear has developed a series of non-glare lamps such as small size MR16 and GU10 for exactly the retrofit use, 8W AR70, high power PAR lamp, different sizes of down lights with touch dimming function, and also our new CUBE® pendant/wall/desk lights. If you’d like to get more information about our patented non-glare products, please feel free to contact us. Thank you!